Huge Savings Item! 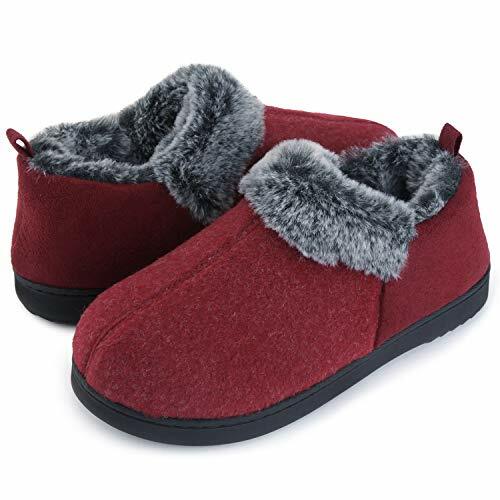 Save 17% on the ULTRAIDEAS Women’s Girl’s Wool-Like Blend Micro Suede Fleece Moccasin Slippers by ULTRAIDEAS at Mas Fashion. Hurry! Limited time offer. Offer valid only while supplies last. ULTRAIDEAS Comfort Cotton House Slippers - Refreshing your daily life!When you get home after a long day, all you want to do is kick back and relax. Why Choose Our Cotton Slippers?
? The newly developed natural high-density cotton insole can perfectly adapt to your feet. It is more comfortable and soft to wear than traditional slippers.
? The edge of the slippers is seam crafted, not easy to crack, and are solid and reliable.
? Machine or hand washable, easy to care, ultra light weight.